Yes it does, yes it does. I'm not a music snob or anything like that, but I do love my music. I have several singer/songwriter/musicians that their music always make me want to get up and dance and probably try to sing along with them. However, it is obvious I cannot sing as I once was asked to leave the stage because Diamond Dave said his song wasn't a duet. I mean how RUDE!!!! Another time I was on stage for my 50th birthday and BLESS THEIR HEARTS, the band that came to play let me sing "I Love This Bar" a million times. Not really, but I bet the band thought so. What was so dang funny is I sang it opera style. (Well, that's what my sister said. I thought I was singing country!! After all I had on my cowboy boots.) Now close your eyes and imagine that. 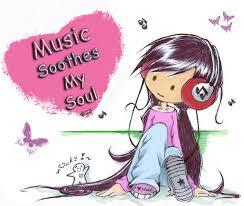 "Music speaks what cannot be expressed, soothes the mind and gives it a rest. Heals the heart and make it whole. Flows from heaven to the soul." Unanimous quote I've often wondered where my songwriter friends come up with their song ideas. Listening to some of them I think it's from life experiences, a tragedy, a lost love or maybe just something that makes them happy. But with this quote I believe it's from heaven to their soul. Think about it, if you're a believer, that truly has to be where it's from. A higher power gave them the knowledge to put their life experiences to song and the talent to sing it. Because there are some musicians that cannot sing their songs, but they can write like there is no tomorrow. "I love the way music inside a car makes you feel invisible; if you play the stereo at max volume, it's almost like the other people can't see into your vehicle. It tints your windows, somehow." Chuck Klosterman, I have to admit, when my favorite song comes on the radio I crank it up LOUD and sing like no one is listening. After all no one is listening, I am the only one in the car. But...if my windows weren't tinted I'm sure people beside me would think I was a little on the crazy side because sometimes I might be playing the drums or piano in my show. Here's your chance again. Close your eyes and imagine. Wait, just pretend you're in the car with me and we're singing as loud as we can to our favorite song. Do I have favorite songs? Of course I do, but I had this one friend, every time a song would come on the radio she would say...wait, that's my favorite song. Lord have mercy every song on the radio was her favorite song. I totally understand that logic, because there isn't much music I don't like. Yes, of course there are artists I don't care for, and I'm sure they have some good songs if I didn't turn the radio every time they come on. Maybe that will be my challenge next time, I will try and listen to their song entirely and see if I like it. Who knows, I roll a little wobbly sometimes, maybe just maybe, there will be something I hear I didn't hear before and I might like it. As they saying goes...try it, you might like it. My lesson for today is listen to the music in your soul. 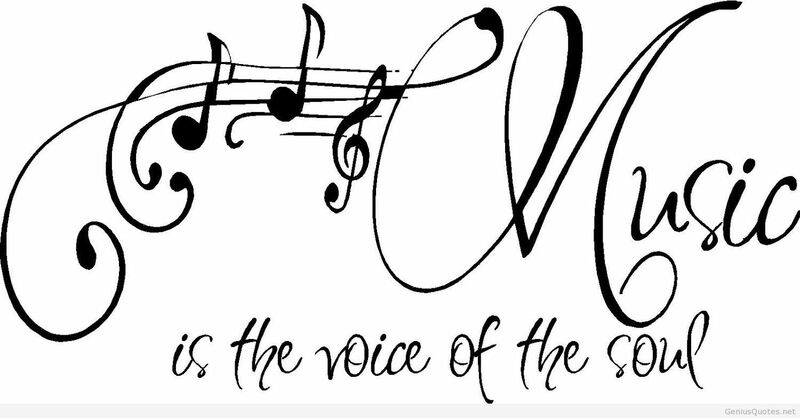 Listen wholeheartedly, turn it up loud, close your eyes and let the music take over your soul. Listen and see if it makes you smile, maybe lift a burden, even cry if it feels like it. They say crying can be a cleansing of the soul. But my hope for all my sassy followers is that it makes you dance, jump in a mud puddle or sing out loud like no one is listening because we all know they're probably not, they're checking facebook. "Happy soul; begin and end your day with music." Lailah Gifty Akia, Think Great: Be Great!